Usually opening Snipping tool is just a search away in Start Menu of Windows 8 or 10. But in new laptops/notebooks with SSD where Windows 10 indexing service is disabled by default, searching Snipping tool doesn’t come out with appropriate result. 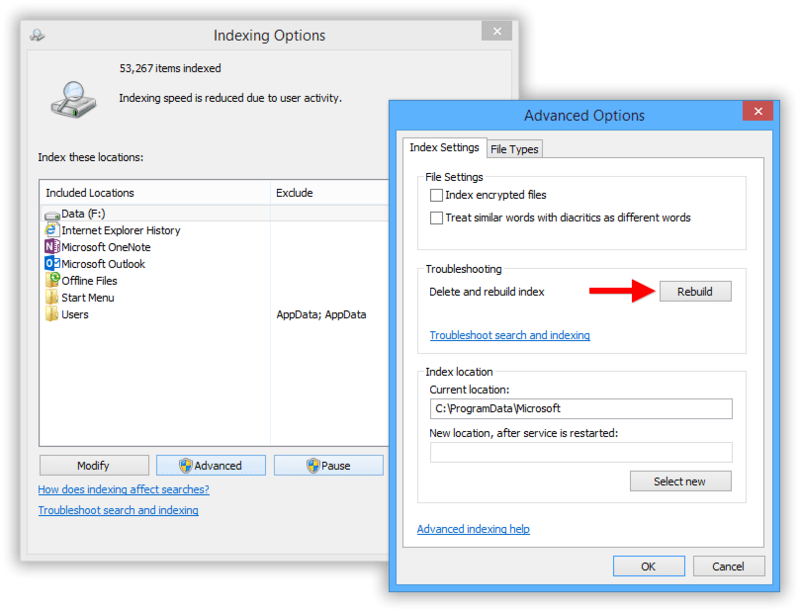 If you have a SSD in your laptop, do check if Windows Indexing Service is turned OFF or it’s working. To prolong life of SSD in your laptop, turns out to be only reasons for turning OFF Windows Indexing Service in Windows 10. Click Advanced Button, then in Advanced Options > Click Rebuild. Open Run Command box by pressing Windows key + R. Type in: %windir%\system32\SnippingTool.exe and Enter. Open Run Command box by pressing Windows key + R. Type in: snippingtool and Enter. Previously in Windows 7 or 8, there was no way that you could take a screenshot involving mouse movements. The only way to capture pop-up menus and tooltips was through PrintScreen command by pressing PrtScn button or combination of Alt+PrtScn on keyboard. and pasting the copied content on paint for further processing like cropping, scaling and saving. Click Delay and select any delay time in seconds. Currently you’ll have choice to choose between 0 to 5 seconds. Default delay time is 0 seconds. Chose any delay time, select New > Rectangular Snip and open any pop-up menu you want to take screenshot of. Now select any type of Snip you want i.e. New > (free-from, rectangular, windows or full screen). Free-form: It lets you draw any random shape on screen and captures the screen in same shape. Rectangular Snip: This allows you to take a rectangular snip, created around by dragging the mouse over any area. Windows Snip: This options lets you take a full screenshot of any object you have opened like any browser, dialog box, any file explorer windows etc. Full Screen Snip: Upon selecting this option, as soon as you click New, it’ll take screenshot of whole screen and present it to you for further editing. Now, you’ll have your selected delayed time to open any window, or pop-up menu or hovering your mouse to capture any tooltip. 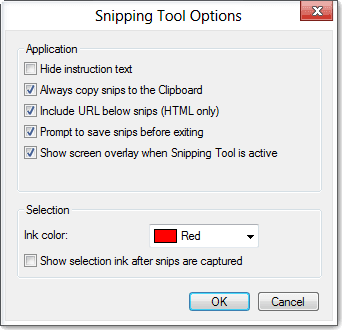 As soon as delay time is over, Snipping tool takes the snapshot of full screen and activate the Snip tool you selected. Now, you cut the screenshot they way you wanted, or if you have selected full screen, then by now, it’ll be available to you for further editing. Right click on Snipping Tool in Start menu. Click on Shortcut Key space row. Press any combination of Key to set the Hotkey. Don’t select just a single keystroke as in most laptops, every Function key is already binded with some options. Hence you can set Alt+F(1-12) except F1 or F4. Or you can also combine Ctrl+Alt+F(1-12). To directly save a screenshot of current scene on your computer folder in Pictures folder, press Windows key + PrtnScr key. As soon as you click New Screenshot on Snipping Tool, it creates a white overlay screen to create a effect of cut-through of your selection. However this effect is not comfortable for many. Hence, you can disable White Overlay setting in Snipping Tool by opening Options in the tool and uncheck Show Screen Overlay when Snipping Tool is active. 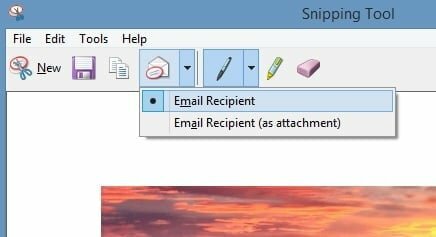 You can share the captured snip directly from Snipping tool via email by clicking the Email button on the tool. You can choose the screenshot to be sent as inline content or as an attachment from the dropdown menu. And upon selecting the option, it’ll open for you the default email client. Open your pop-up menu like any context menu by doing right click anywhere. Now, snipping tool will freeze the screen and you can take screenshot of your popup or contextual menu. Press Windows key to open start menu. Do the selection with mouse, which portion of screen menu you want to take screenshot of. To capture entire Start menu, rather than pressing Ctrl+PrntScr, press Windows key+PrntScr. If we have missed any trick for Snipping tool, do let us know in comments section. Great tips here thanks. Win 10 added an extra step using snippit. Is there a way to hit snippit tool and NOT need to hit new? Win 7 allowed you to hit snippit and automatically allowed you to grab image without extra step of hitting ‘New’ every time. Not a big deal but I take 40 images a day and gets tedious. That’s what I wanted to know too, Gordon. I always use the rectangular snip and now have to click twice when before I could just click once and go. Thanks Microsoft. Open One Note just one time. From then on out you can hit Windows + Shift + S to get snip tool open. This used to be just Windows + S in previous versions. 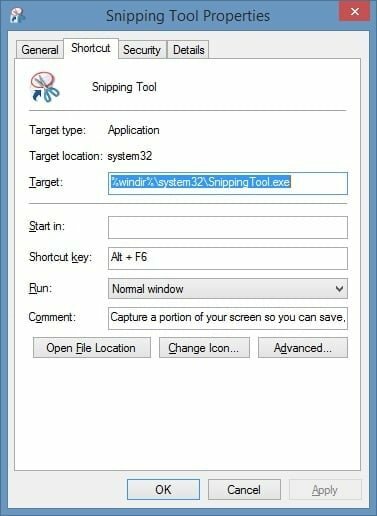 How to support an oem define hotkey (Fn+F7) to launch snipping tool? It needs to be ready on shipping image rather than user to set it through shortcut hotkey later individually. Is there any scan code define for snipping tool hotkey? Just make your own script? with AHK or something similar. In the script, run the snippingtool.exe and then use SendKeys (in AHK) to send shortcut ctrl+n, voila. So it’s just a modified startup of snipping tool. Just with very easy steps, how to make bootable USB pen drive for installing windows 10 in your PC or laptop. Also read which windows edition you need.